Issue 214 (Summer 2016) - Linux Mint 18! The biggest update to Mint for years is out! Mint 18 is released; based on Ubuntu 16.04 LTS with new Xapps and all the new convergence technologies. 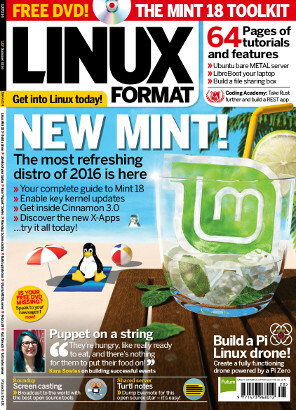 It's the must-have distro of the year! We get you started and look at all the new software, settings and open source extras.